Una visita reciente al Museo Metropolitano de Nueva York me puso sobre la pista de la labor realizada por Calvert Vaux uno de los arquitectos incluidos en el álbum L' Architecture Americaine con fotografías de Albert Levy. Una vez más es necesario reconocer la labor de este fotógrafo capaz de documentar en tiempo real-1876/1884- la labor de los mejores arquitectos que trabajan en Estados Unidos en ese momento. 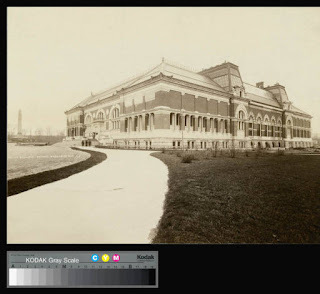 La arquitectura de Calvert Vaux incluye el diseño de parques como es el caso del Central Park de Nueva York, su labor en el diseño de museos como son los casos del Metropolitan Museum ( varios arquitectos a la largo de su construcción), American Museum of Natural History. También mencionar Prospect Park en Brooklyn entre otras actuaciones. Albert Levy. Catálogo Razonado. Biblioteca Nacional del Francia. Calvert Vaux Arquitecto. Documentos sobre su labor. Un amplio y detallado pdf, publicado en un boletín del Museo con la historia de su edificacion y de sus arquitectos a lo largo del tiempo, destacando, con todo detalle la labor realizada por Calvert Vaux en su construcción. Vistas del Museo Metropolitano en los fondos de la Halic, colección fotográfica de arquitectura del Art Institute de Chicago. Street Address/Neighborhood Central Park facing Fifth Ave. between 80th and 84th Sts. Street Address/Neighborhood Central Park West and 79th St.
Vaux initiated the process that led to the creation of Central Park in New York and Prospect Park in Brooklyn, and persuaded Olmsted to join him in both endeavors. Their designs for these two prototypical country parks in the city were of crucial importance in forming the urban face of nineteenth-century industrial America. .......Few men of his generation left legacies more magnificent than Central Park and Prospect Park. ...One year later Harper's New Monthly Magazine featured Vaux's work in a series of articles which formed the core of Villas and Cottages, one of the most influential domestic design model books of the Victorian Era. ........Harper's Monthly to note: "The Central Park is the finest work of art ever executed in this country ... the exquisite forms of the ground in every directionthe perfection of the roadwork and gardening-the picturesque and beautiful bridges-the lovely sweeps of water contrasted Witll lawn banks-the pictorial effect of the telTace upon the water, so that you drive out of the City into the landscape . ... "
Country, Park City: The Architecture and Life of Calvert Vaux.Book.By Francis R. Kowsky:New York Times " The Hidden Half of Central Park"
The National Arts Club is located in the historic Tilden Mansion. 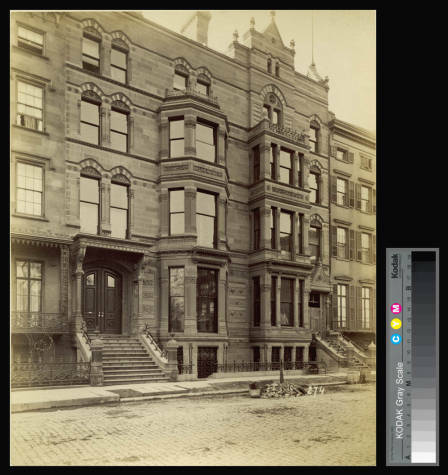 15 Gramercy Park was built in the 1840's and its original flat-front, iron-grilled appearance matched the style of the houses still maintained on the west side of Gramercy Park. Samuel Tilden acquired 15 Gramercy Park in the 1860's, and in the 1870's gave the house a massive overhaul. 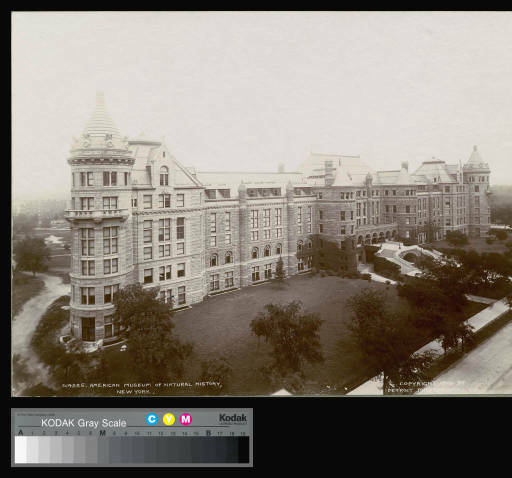 Tilden hired Calvert Vaux, a famed architect and one of the designers of Central Park to "victorianize" the facade with sandstone, bay windows and Gothic Ornamentation. The Tilden Mansion is both a designated New York Landmark and a National Historic Landmark. In the 1960's, New York declared 15 Gramercy Park South a New York Landmark, and in 1976, the Federal government declared it a National Historic Landmark. Street Address/Neighborhood 15 Gramercy Park S between Park Ave. and Irving Pl.